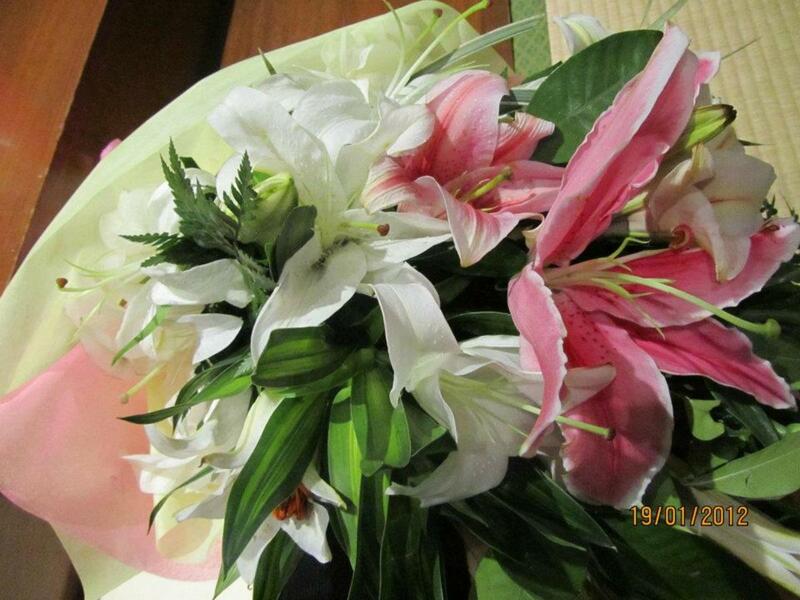 Flowers have become one of the most popular gifts on Mother's Day, but for some people they are too cliché. Everyone wants to find a unique gift that will stand out from the rest and will be received with the enthusiasm he or she hopes for. For those who think flowers are cliché and a waste of money, here are several bouquet alternatives that are ideal for Mother’s Day. They are all edible, cheaper than store-bought bouquets and can be made at home. Marshmallow decorated cupcakes that look like pretty flowers are perfect substitute for a Mother's Day bouquet. 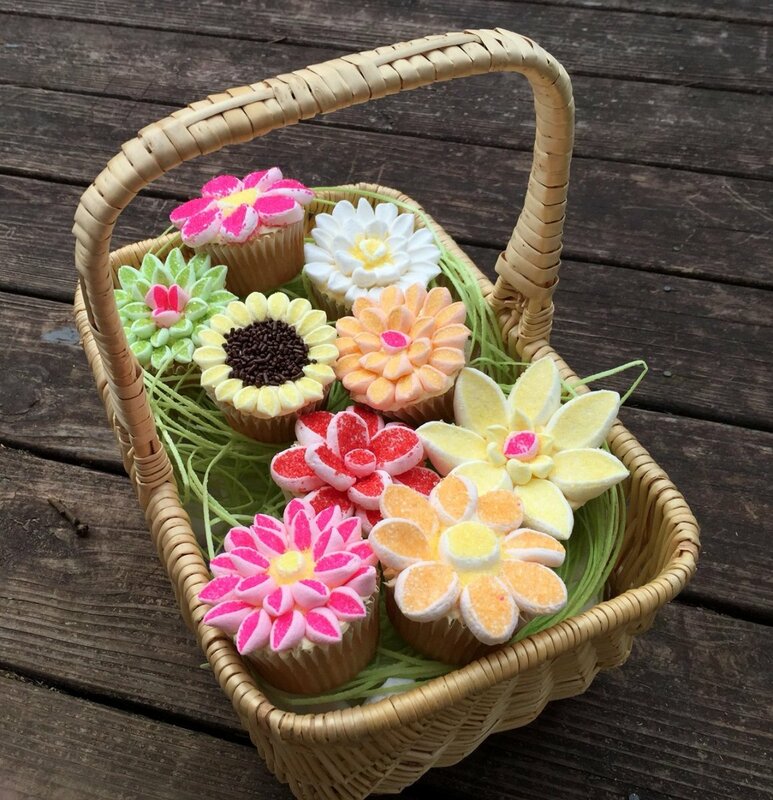 For an interesting twist on the traditional Mother’s Day bouquet, try a basket full of cupcake flowers. These stunning-looking blooms are so easy to decorate that even a four year-old can do it. You can bake your favorite cupcake recipe, or if you don’t have time for that – buy cupcakes from the grocery store – and then simply decorate them with diagonally cut mini marshmallows, dipped in colored sugar. It is as simple as that! The video tutorial on the right will show you how to make the marshmallow petals. Using this technique, you can create different flowers like daisies, chrysanthemums and sunflowers. Place the colorful blooms in a basket to finish off your out-of-the box gift. 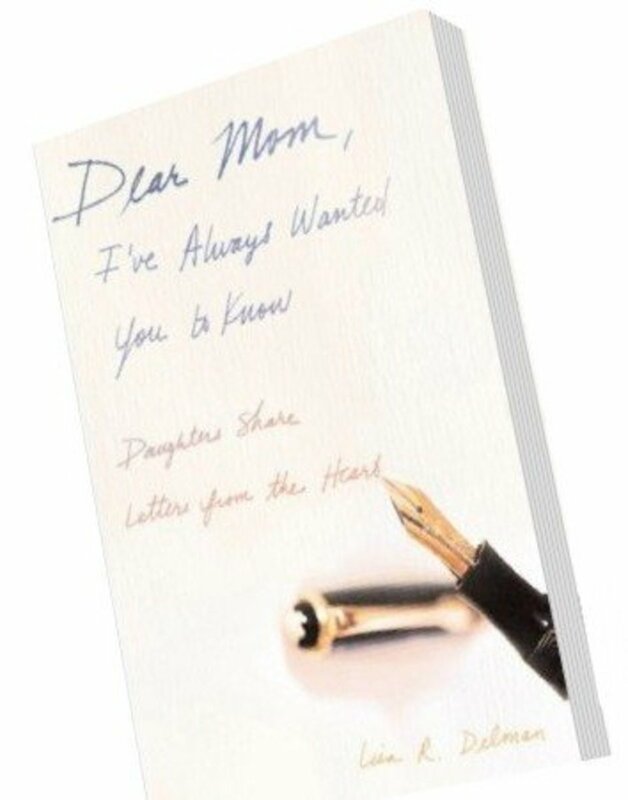 You can be sure that mom will be surprised and impressed. 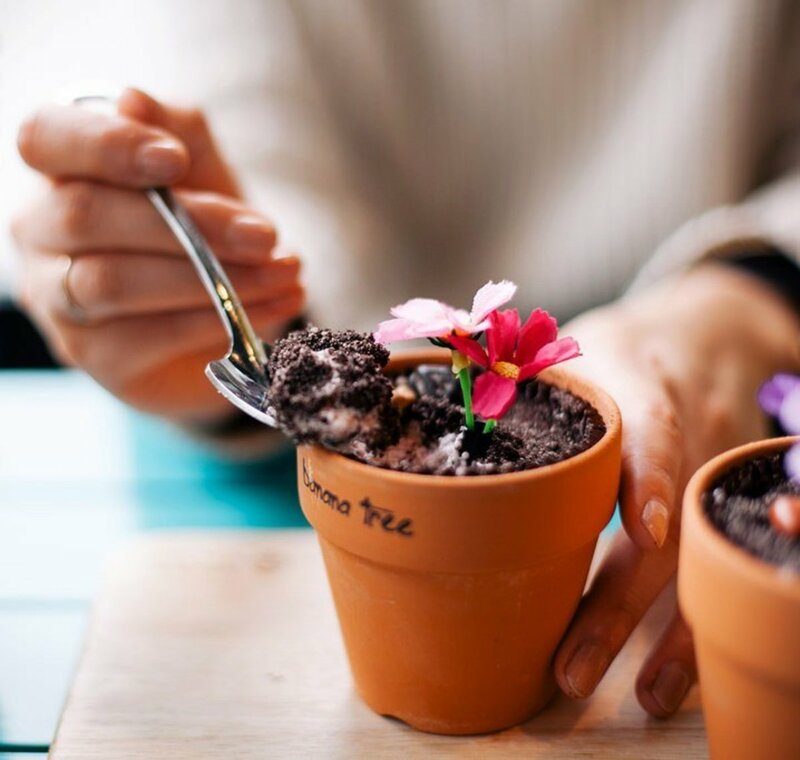 Another gift that will definitely impress mom on Mother’s Day is this interesting ice cream dessert, served in a flower pot. The flower pot is layered with pound cake, ice cream and some Oreo “dirt”. The crushed Oreo cookies look just like dirt, by the way. The fresh cut flowers are then inserted down a plastic straw, stuck into the cake layer. If you don’t have an extra flower pot laying around, you can use some inexpensive pot-shaped silicone baking cups. Those who are short on time can make a simpler version of this Mother’s Day desert that will also look exactly like a growing plant. Just fill a flower pot with regular ice cream, put some toppings like nuts and sprinkles and then garnish it with a few leaves of fresh mint or basil. 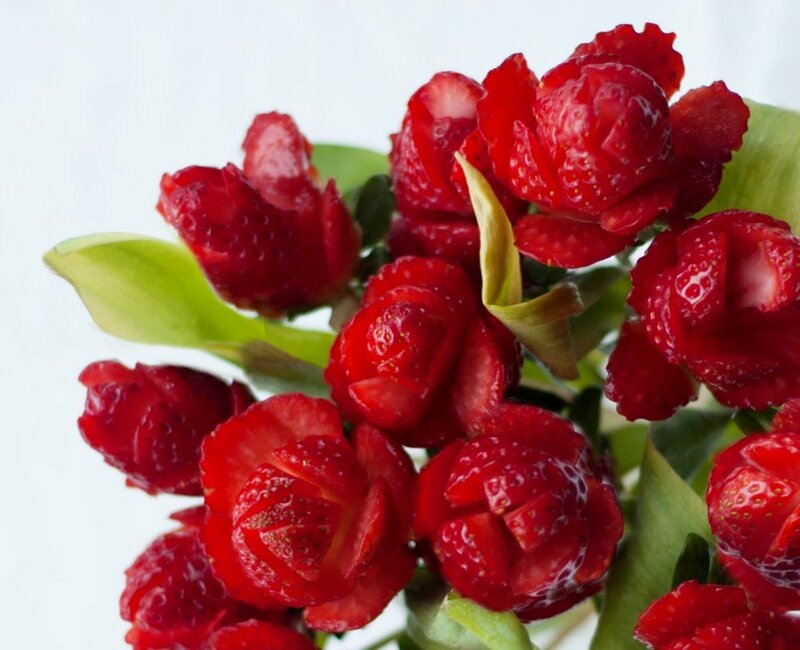 Flowers made from strawberries, decorated with chocolate and put together in an elegant bouquet will always be received with sincere appreciation and love on Mother’s Day. A gorgeous and realistic-looking roses like the ones from How to Cook That may look complicated to make, but they couldn't be simpler. Just watch the video and you will see that this is a project almost anyone can handle. The strawberries are decorated with petals made from modeling chocolate, which is very easy to work with, because it is pliable and basically behaves the same way as play dough. 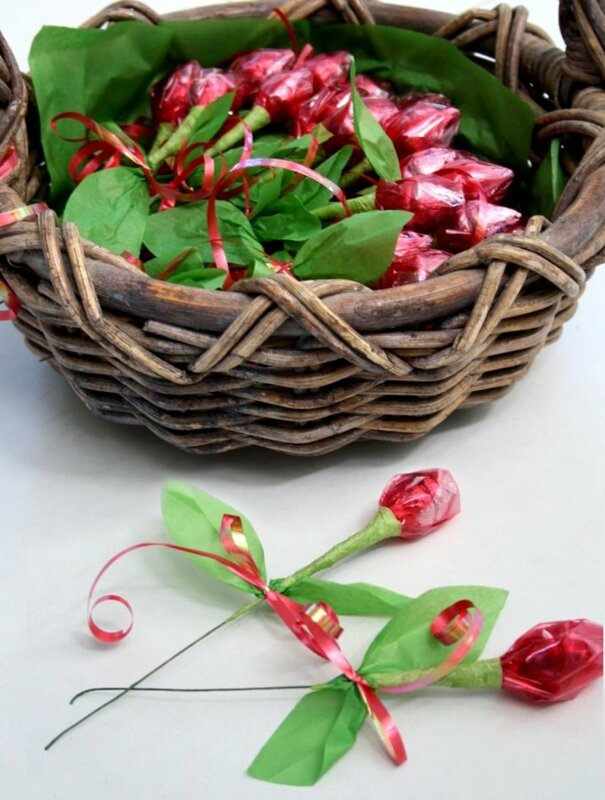 When your edible roses are ready, you can lay them in a pretty gift box with a ribbon or arrange them in a charming vase with fresh foliage and give them to your mom. 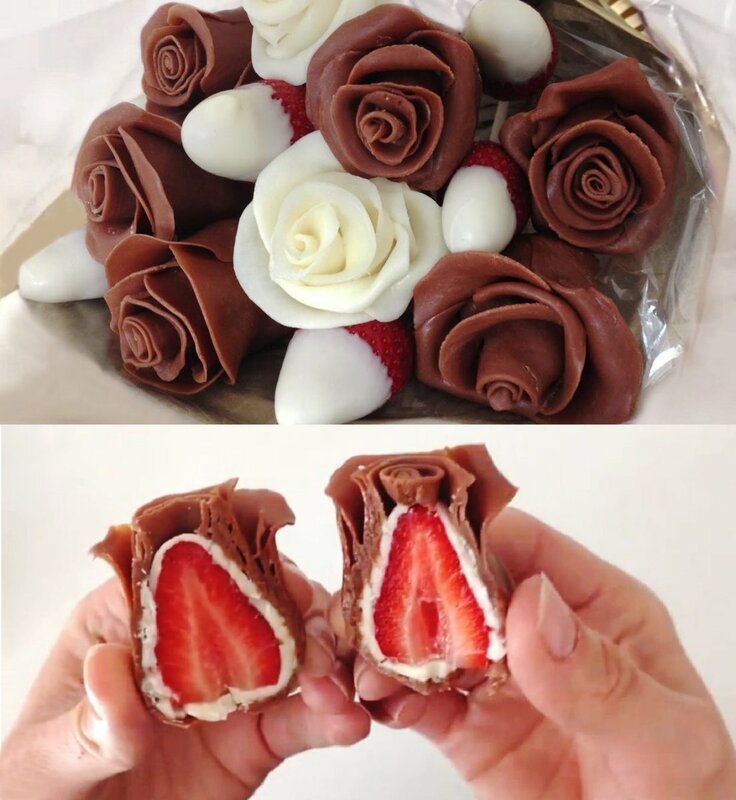 Strawberries can be transformed into rose shapes not only by decorating them with chocolate but also by carving them. If you have never done that, check out the video on the right for a simple carving technique that is suitable for beginners and produces amazing results. There are several ways to present these yummy “roses” to your mom. The first one is to purchase artificial, long-stem roses from your local dollar store and replace the artificial buds with the strawberries. The other option is to use skewers, plastic drinking straws or lollipop sticks as stems and arrange the “roses” in a vase with some fresh foliage. 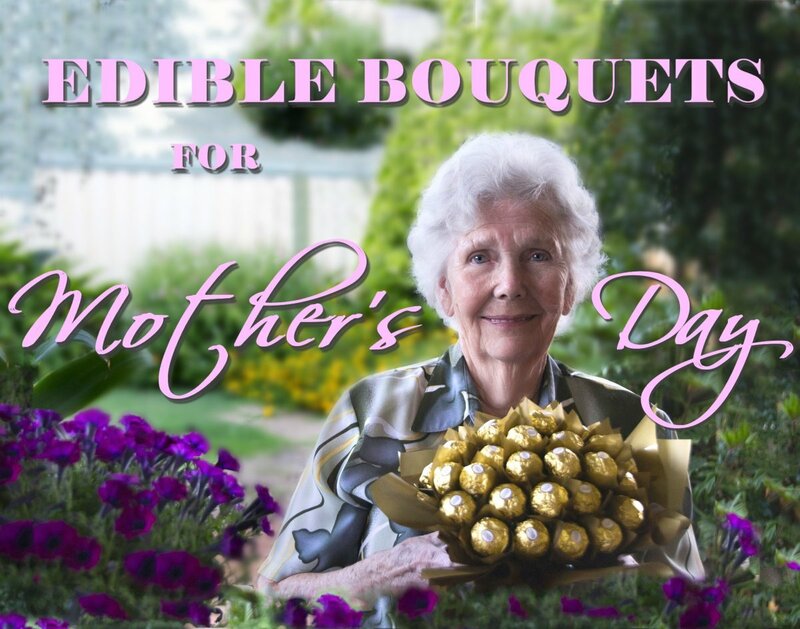 Either way, you will have a beautiful, edible and inexpensive Mother’s Day bouquet. The next idea comes from the blog Chasing Cottons and it is another “flower” basket, but this time the “flowers” are made from Hershey's Kisses. Hershey's roses are usually given as wedding favors or for Valentine’s Day, but they are perfect for a Mother’s Day gift too. 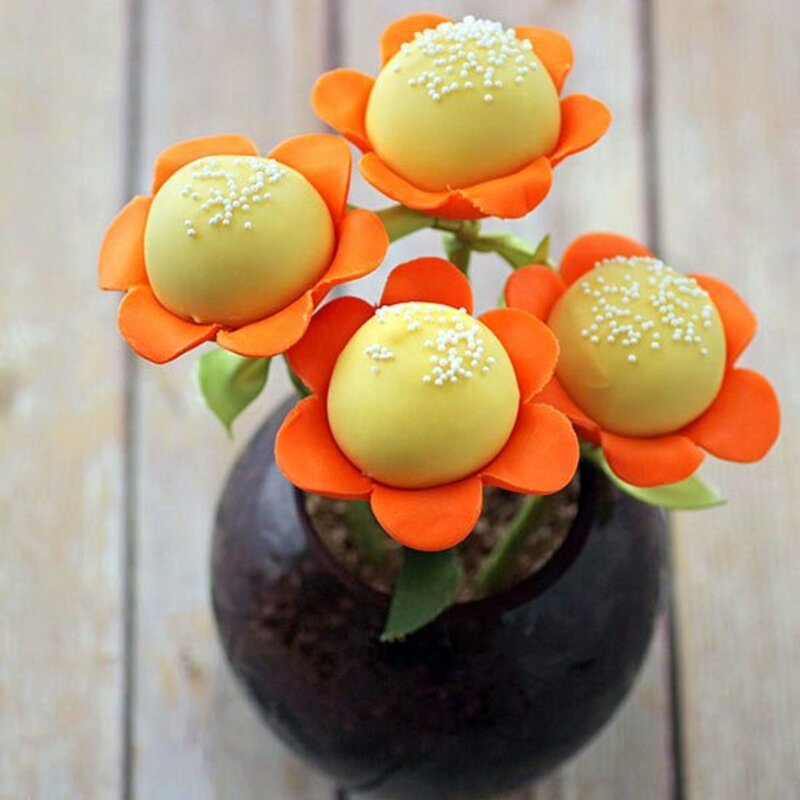 The best thing about these fun (and popular) “flowers” is that you can make them quickly and even kids can help with that. The mess will be minimal and mom will love them. Visit Chasing Cottons for a step-by-step tutorial. Cake pops are another delicious treats that can be used for making fantastic Mother’s Day bouquets. The cute and colorful cake pop flowers from Better Homes and Gardens, for example, would certainly be a little ray of sunshine for mom. So if you want to make these – visit the site for instructions. In case you want to skip all the baking and get to the fun part of decorating, there is a way to make perfect, no-bake cake pops in next to no time. The secret – donut holes! You can find them at most doughnut shops and grocery stores. Put them on sticks and just have fun decorating them with fondant. 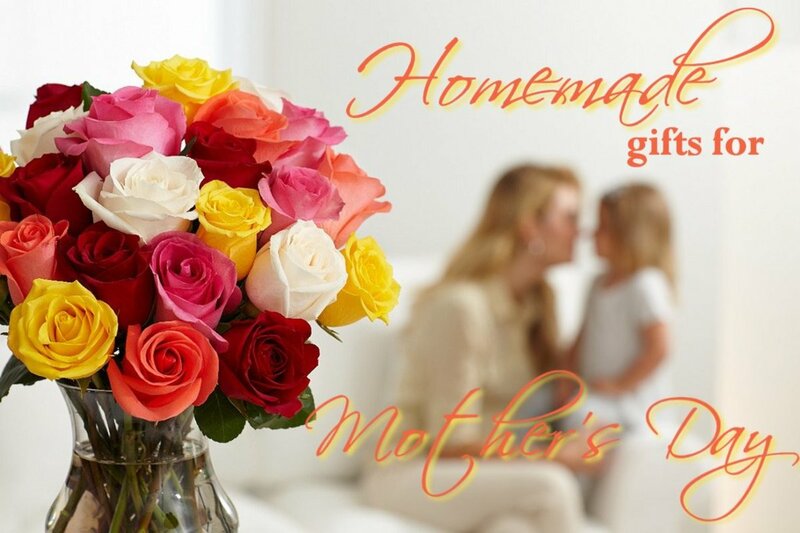 Beautiful edible arrangements and fruit flower bouquets are popular Mother’s Day gifts and because of that they are quite pricy too. Fortunately, there is nothing difficult in creating these bouquets and with a little bit of time you can easily make your own at home. The tools needed are things that almost everyone has in their kitchen – flower-shaped cookie cutters, melon baller and wooden skewers (or decorative plastic drink picks). Even if you don’t have these at home and you have to buy them, it will still cost you way less to make the arrangement yourself than ordering one. Watch the video for a step-by-step tutorial (tutorial starts at 0:54 min) or go to She Knows for written instructions. 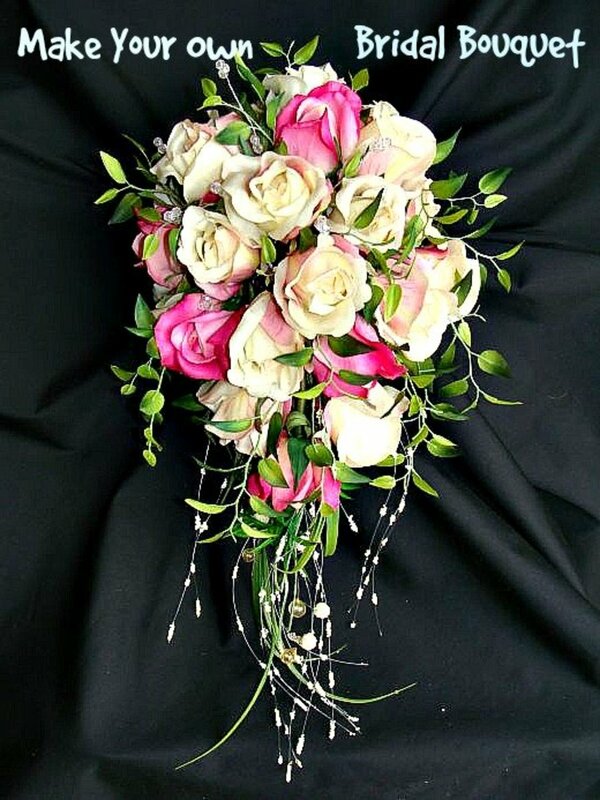 Many people think that these types of bouquets are a lot of work and need to be made the day of the event, but actually the fruits can be prepared a day or two ahead. All you need to do is keep them in ziplock bags or glass-lock containers. This will save you some time. 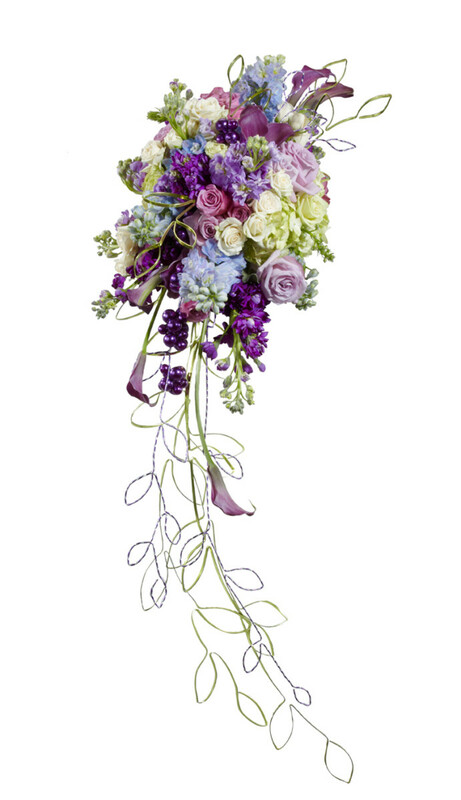 When the day comes, arrange the bouquet how you see fit. 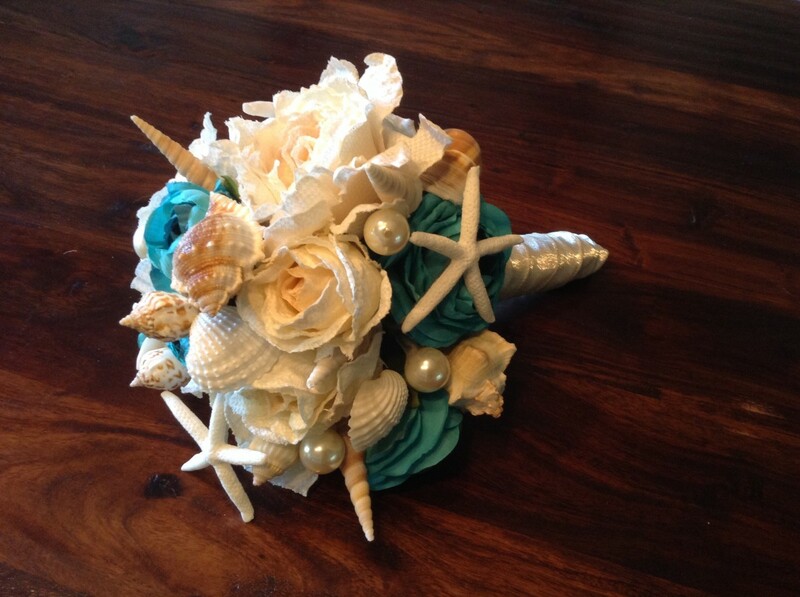 It is the creativity and look of the arrangement that make this gift special. 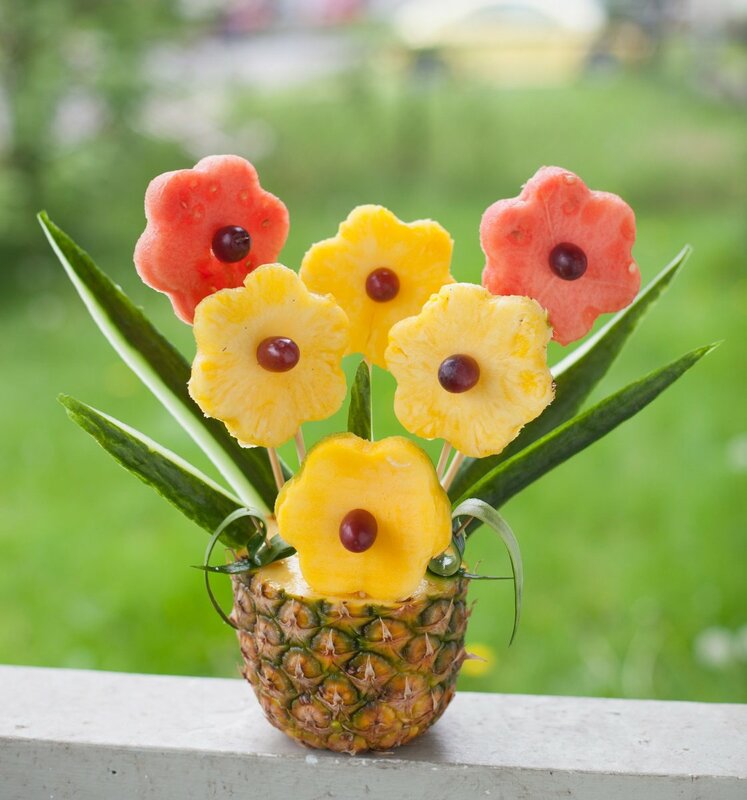 For example, you can jazz up the gift by using a pineapple or a cantaloupe as a vase or mix fruits and veggies to make the flowers. The possibilities are numerous.